Saturday’s CIF Div. III Section Championship battle of unbeatens, between Placer High and Capital Christian — the two small school, but not-so-small football programs, led by storied coaches — lived up to its billing. A wire-to-wire clash of new-school versus old-school — the air-it-out Cougars against the ground-and-pound Hillmen. And when it mattered most, Capital Christian football coach Casey Taylor had the perfect play drawn up. Down 22-14 with less than four minutes to play, the Cougars game plan was simple. 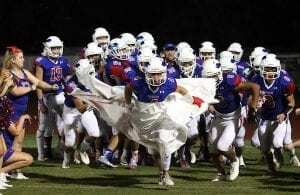 “We called it, ‘Get in the end zone,’” quarterback Cooper Crick admitted. 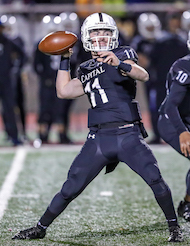 After being held scoreless for most of the second half, turning the ball over deep in their own territory and muffing a punt that led to a safety, the Cougars found a spark on offense. Crick and Co. spread the Placer defense out and started throwing the ball over the middle of the field. 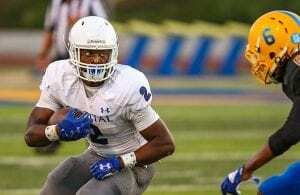 And it was senior wideout Trey Jones who accounted for 66 yards of his team’s most important offensive drive. His 20-yard touchdown catch with 2:53 remaining in regulation pulled the Cougars within two points. “We said, ‘We’re going to go out there and play 7-on-7, sling the ball around and do what we love to do,’” Crick recalled. Cougars receiver Trey Jones breaks into the open field. That’s when Taylor’s team lined up as if it would kick the extra point. But surely, that couldn’t be right. Down two with less than three minutes to play, the strategy playbook surely states go for it. The alignment didn’t just confuse the fans. Placer’s defense seemed ready for an extra point, but most were astounded, at least until the Cougars shifted. 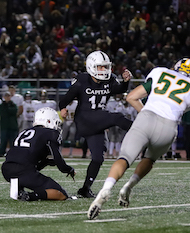 Moving a wide bunch to the left sideline, but keeping a kicker and holder in the backfield and a quarterback under center, Capital Christian quickly snapped the ball. Crick tossed it to star running back D’Marcus Ross who bowled into the end zone for the game-tying conversion. Momentum could have favored the Hillmen had that trick play not panned out. Instead, it was Placer feeling the heat and a crucial mistake cost them a chance to win the game. With the game tied at 22, Ross intercepted a Placer pass and returning it to the 12. That set up a last-minute 29-yard field goal from Kenyon Bowyer, who elevated the Cougars to a 25-22 come-from-behind victory. Kenyon Bowyer watches the flight of his champinship-winning field goal. “I was ready — I dreamed about (that moment),” Bowyer said. “I just needed to get it through for my brothers. Bowyer’s kick was straight and true. It capped an 11-point comeback victory for the Cougars, who claimed the program’s first Div. III title. 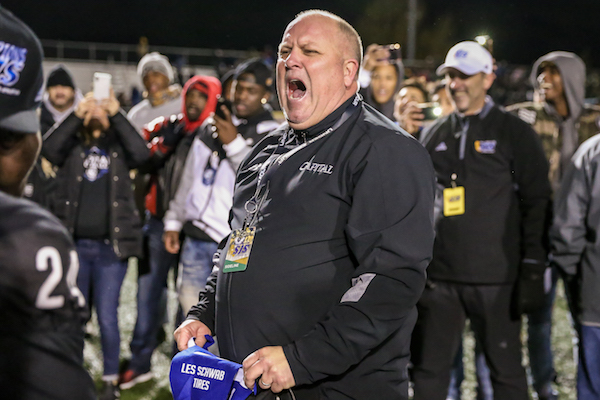 This is what Capital Christian football fans imagined all along when they first heard longtime Del Oro coach Casey Taylor was coming down the hill to take over. Section titles, undefeated seasons, broken records. In his 15 seasons in Loomis, Taylor led Del Oro to six SJS championships. His Eagles teams also went to four CIF State bowl championship games, winning one in 2015. Cougars two-way senior standout D’Marcus ross battled back pain to make big plays on both sides of the ball in the championship win. He still says leaving the Golden Eagles was the toughest decision of his life, but one that gave him new challenges. Before Taylor took the reins of the program, the Capital Christian football won titles in 2014 and 2016. But this year has surpassed all preseason predictions after the team was realigned from the smaller enrollment-based Golden Empire League into the revamped Capital Athletic League full of Div. III teams. “I am just real proud of our guys — there was a chance for our guys to back out of it and maybe say, ‘OK. We’ve had a good year,’ but our guys kept fighting and found a way to come back,” Taylor added. A few hours earlier, Taylor’s replacement, Del Oro alum Jeff Walters, continued his predecessor’s tradition of winning as the Eagles claimed their own section title — a Div. II championship following a 20-17 victory over Central Catholic-Modesto at Sac State. That title game had a similarly wild ending. Del Oro used a fumble return score to help erase an 11-point deficit and steal the championship. Afterwards, Taylor checked in on his former program and their new leadership. 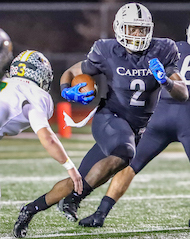 Capital Christian’s comeback would not have been possible without a stingy defensive effort late in regulation. It likely wouldn’t have happened had Ross remained sidelined after leaving with back pain after making a tackle. The two-way senior returned to action and came up with two key plays down the stretch — the two-point conversion and the game-changing interception. As the final whistle blew, Ross gave credit to his coaches, his family, his teammates and God. Then he took off his helmet and donned a championship hat and celebrated the victory. D’Marcus Ross shows off his championship headgear as the team poses for postgame photos. The Cougars’ season continues as they hit the road to take on Wilcox (12-1) of Santa Clara on Saturday, Dec. 8. 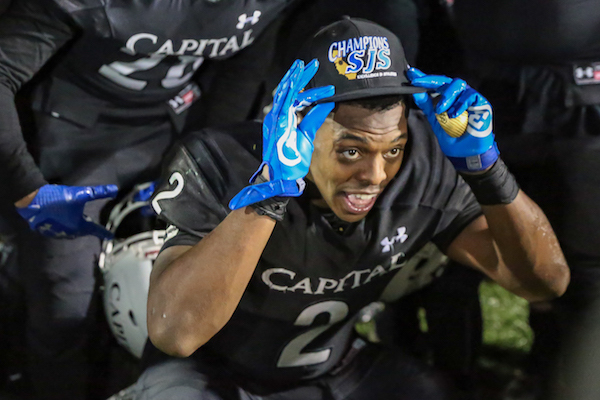 This weekend, the Sacramento Bee’s Joe Davidson reported that CIF-SJS Commissioner Mike Garrison noted he had an “issue with” Capital Christian football hosting Saturday’s playoff game. 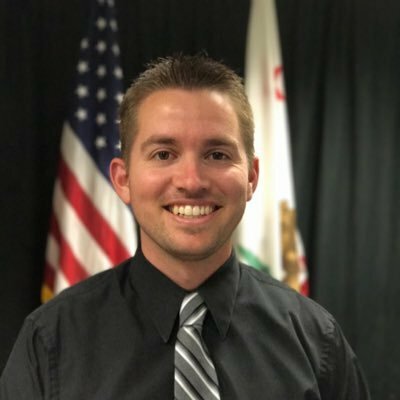 Garrison said throughout the latter part of this season that the inordinate amount of player ejections across the Sac-Joaquin Section alarmed him. In addressing section finalists during a pre-championship breakfast on Dec. 26 in Lodi, Garrison stressed boorish behavior and ejections would not be tolerated. 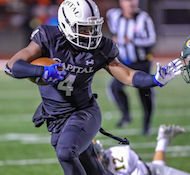 That player was Damion Malott Jr., who was flagged for excessively celebrating his third interception of the game — a pick that sealed the win for Capital Christian. Nonetheless, the Cougars are moving on and still have more to play for this season as they seek win No. 14 and a state championship bowl berth.